Sonic the Hedgehog is a video game in the Sonic the Hedgehog series developed by Ancient and published by Sega for its Sega Master System and Sega Game Gear systems. 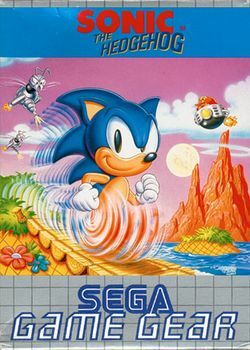 Originally released in December of 1991, both to the Japanese and the American/European markets, Sonic the Hedgehog was not merely a port of the original Genesis game, but a reworked version, incorporating the same game play as well as both old and new levels. The game was re-released as part of Sonic Mega Collection Plus and was included as a hidden minigame in Sonic Adventure DX. This page was last edited on 13 February 2016, at 01:40.